Like many - or most - people in the UK I had little knowledge of shale gas and hydraulic fracturing before 2011, when the first shale gas fracking at Blackpool brought the process to media attention. This was of particular interest to me, because approaching retirement age I had been pondering whether to return to the area of my upbringing, Blackpool and the Fylde. Because of that link I was particularly interested to find out more about what was going on there. And I found there were plans to turn rural Fylde into an industrial area. The more I found out, the more I became concerned. Not just regarding my own plans to move back there, but about the area itself. And the more I discovered, the more I realised that shale fracking and related extreme energy production was planned for much more of the UK. It also became clear that fracking was becoming highly controversial. In the UK it was a new untried technology. And new evidence was emerging about its dangers from the US, Canada and Australia. 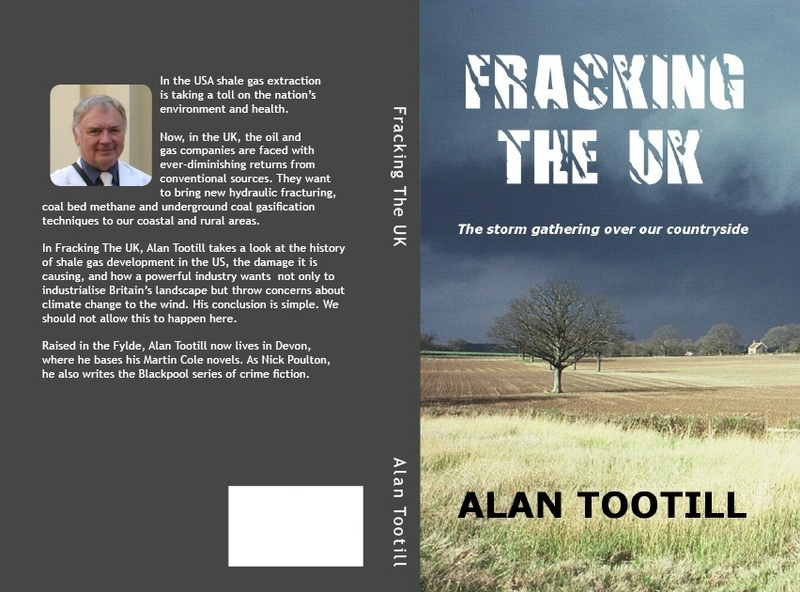 This book is an attempt to put together some of what I found through my enquiries into shale gas fracking and related extreme energy processes. Most of my research was internet based. Where sources appeared questionable I cross-checked and verified from elsewhere. Much of the original source data - detailed reports on shale gas, including those significant for the UK such as the government's Environment and Climate Change Committee report, the Department for Energy and Climate Change DECC reports on how fracking caused earthquakes at Blackpool, and the report of the Royal Society and Royal Academy of Engineers - is available online in full. So too are many studies and reports from the US and from the European Union. In an age where we see DECC responding to demands for more regulation by bland assurances that they will make oil and gas industry companies publish information on the web, I make no apology for using the internet as an information base. My opinion, now that it is formed, is that shale gas fracking, Coal Bed Methane (CBM) and Underground Coal Gasification (UCG) are entirely inappropriate for the UK, that they are inherently unsafe, that they would hasten our decline into climate change chaos, and should be unconditionally opposed. New evidence is emerging almost daily about the environmental damage caused elsewhere by fracking, and new efforts by a rich and powerful industry to exert its will over the common sense of our politicians and the will of the public. I know that by the time this account is published it may already be out-of-date. But I think as a snapshot in time it will stand as a clear warning that shale gas fracking should not be allowed to go ahead. 2 New or old as Moses? Appendix A - University research - who pays? Appendix B - See you in court?